Favorite Yoga Pose: Utthita Trikonasana or Ardha Chandrasana it depends on the day! It can be both. How it makes me feel. How it deepens my connections to others and all the great experiences and people it has brought into my life! Yoga is a gift. Yoga has brought balance by helping me deal better with stress. Yoga has made me aware of actions and judgements. 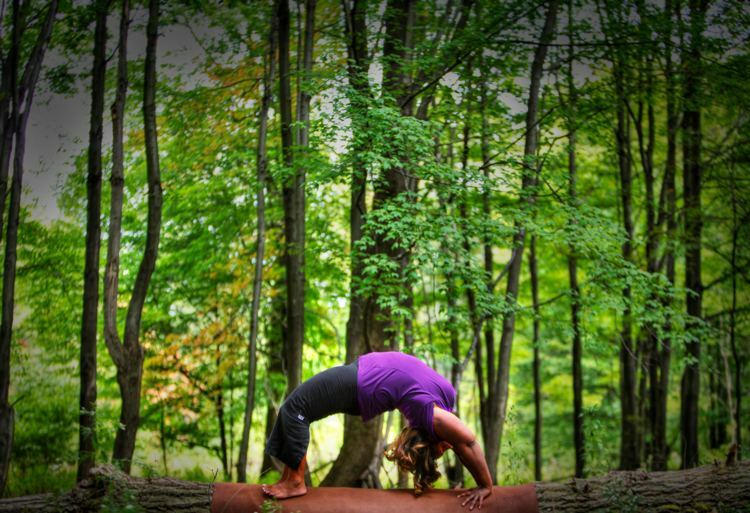 Yoga had brought compassion and patience to my life. It has led me to great friendships and greater self-awareness and consciousness. 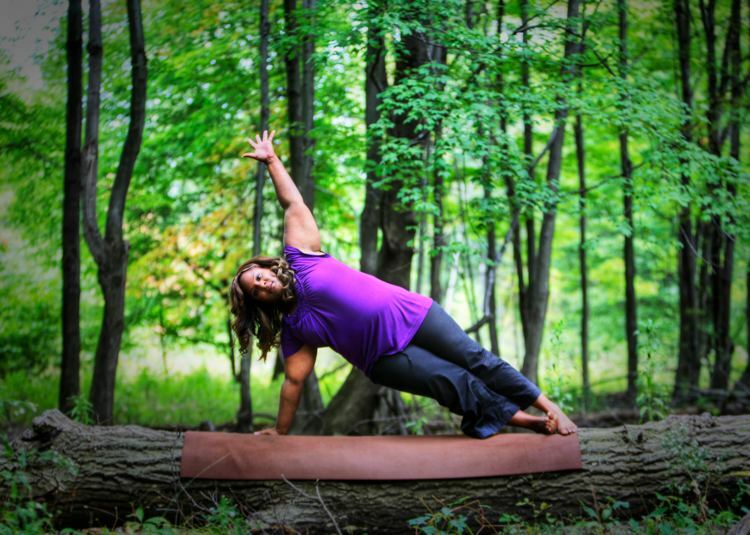 Yoga helps me love myself and gives me confidence. Yoga makes me stand strong and tall. It also heals my back, shoulders and soul. Trying different classes and different teachers and doing one new pose a week. It keeps me on my toes. Stephen Cope: The Great Work of Your Life - I got goose bumps reading that book. There is no one person who inspires me. I can find my inspiration everyone and everything. I love all kinds of music. I choose my music based on my mood. I love everything from soul, classic 70s and 80s pop, MC Yogi, Michael Franti, the Eagles, Seal and even hair metal…I love it all. "Drink as you pour" from Chelsea loves Yoga. It is important to give and to receive to stay balanced. If you don't replenish yourself you can definitely burn out! Don't be afraid to try yoga. Step out of your comfort zone. Whatever you want to be you can do it. Be bold, do yoga and live skillfully.